This morning, the San Leandro Police Department's SWAT team executed a search and arrest warrant on behalf of the Los Angeles Police Department. Detectives from the LAPD tracked a felony suspect wanted in their jurisdiction to an address on Sweetwater Drive in San Leandro. LAPD detectives obtained a warrant for the location and as protocol follows, delivered the warrant to the San Leandro Tactical Operations Team for execution. At 5:00 am this morning, members from the SLPD SWAT Team converged on the location and successfully executed the arrest warrant. The wanted suspect being sought by LAPD was located and taken into custody without incident. Detectives from the LAPD were standing by to take custody of the individual. Investigators from the Federal Bureau of Investigations and the Alameda County Sheriff’s Department were also present assisting in the operation. 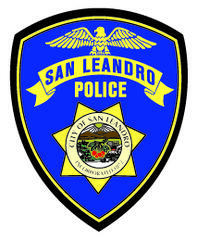 "The operation was executed as planned and the target suspect was located and detained without incident," said San Leandro Police Lieutenant Isaac Benabou. "Our tactical team leaders conducted many hours of research and planning into this operation to ensure a safe and smooth application." The use of an unmanned aerial vehicle (UAV) and the MedEvac vehicle was included in the operation, however not utilized to effect the arrest. Once the suspect was detailed, the San Leandro Police department withdrew from the incident as the investigation was resumed by the Los Angeles Police Department and the FBI.